Masada (Hebrew for fortress) is a place of grim and majestic beauty that has become one of the Jewish people’s greatest symbols as the place where the last Jewish stronghold against Roman invasion stood. 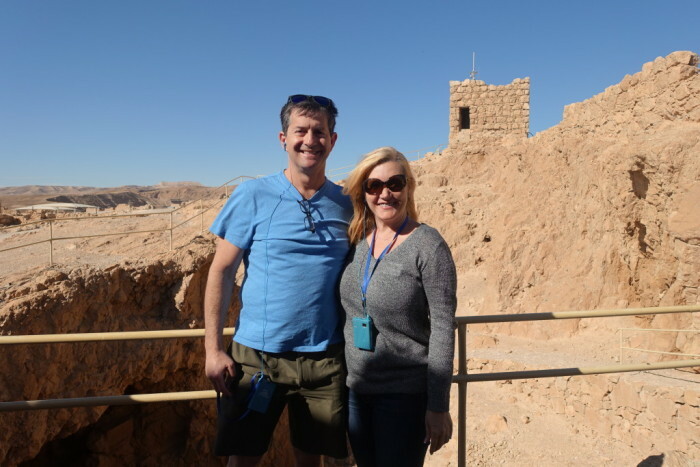 Next to Jerusalem, it is the most popular destination of tourists visiting Israel. 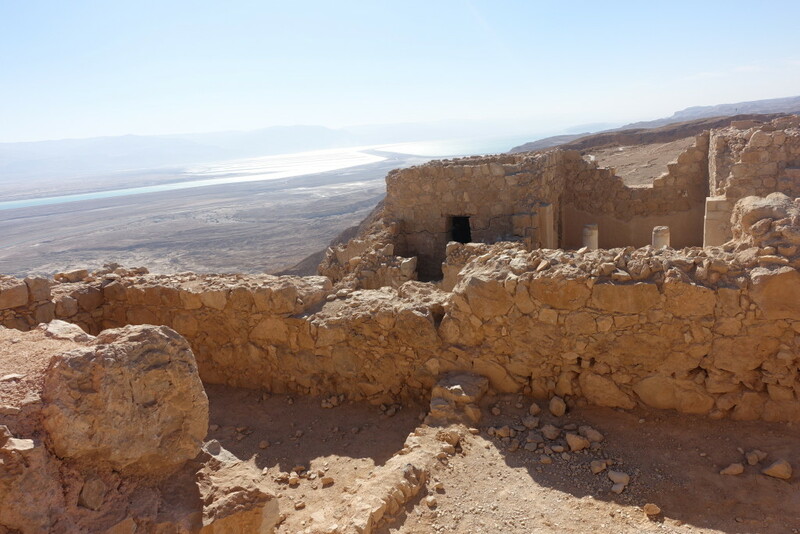 We were excited to see that Masada was on our National Geographic Expedition tour. 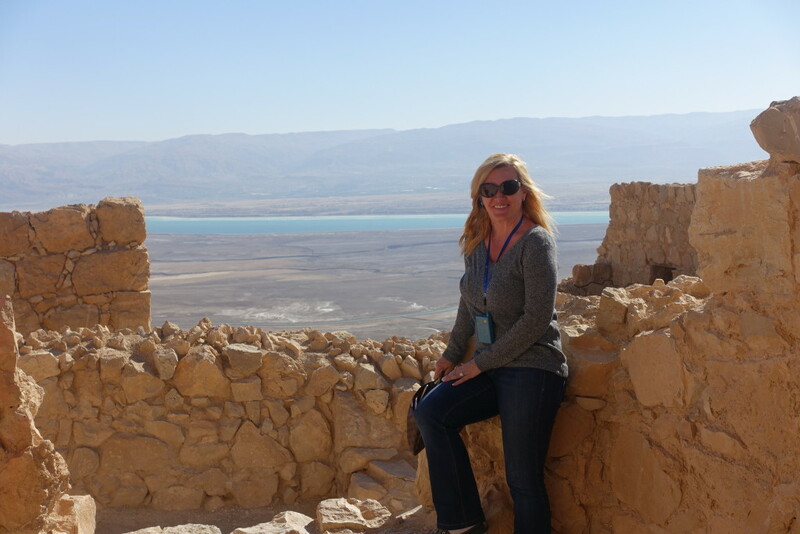 Masada is an ancient fortress that sits on top of a rock plateau overlooking the Dead Sea. The plateau of Masada is located on the eastern fringe of the Judean Desert near the shore of the Dead Sea, between En Gedi and Sodom. 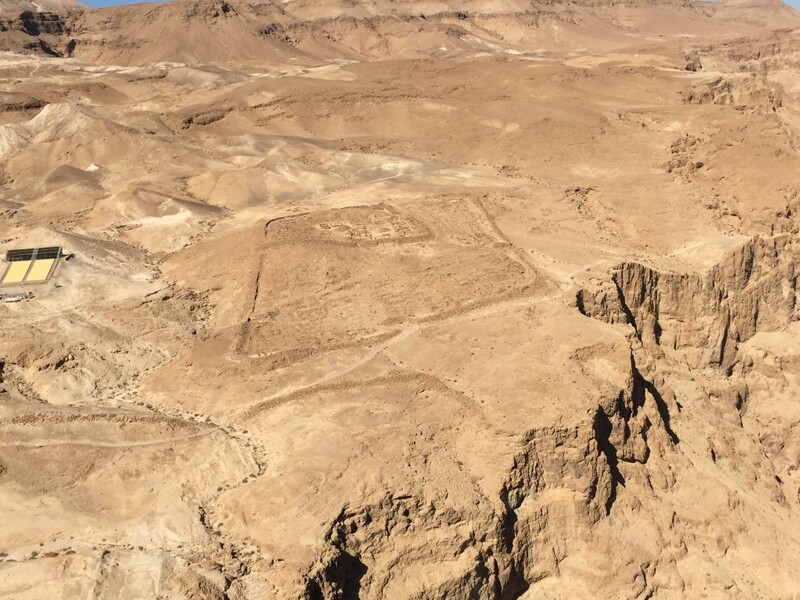 It is a mountain bloc that rose and was detached from the fault escarpment, surrounded at it base by Wadi Ben Yair on the west and Wadi Masada on the south and east. The plateau, 450 meters above the level of the Dead Sea, is approximately 650 meters long and 300 meters wide. 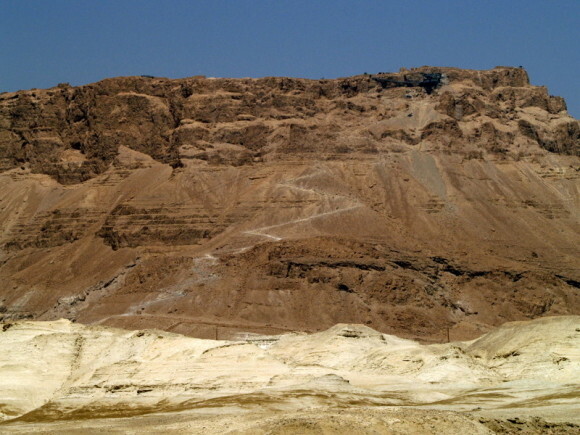 East of the mountain is sediment left by the ancient Dead Sea, scored by numerous cracks. 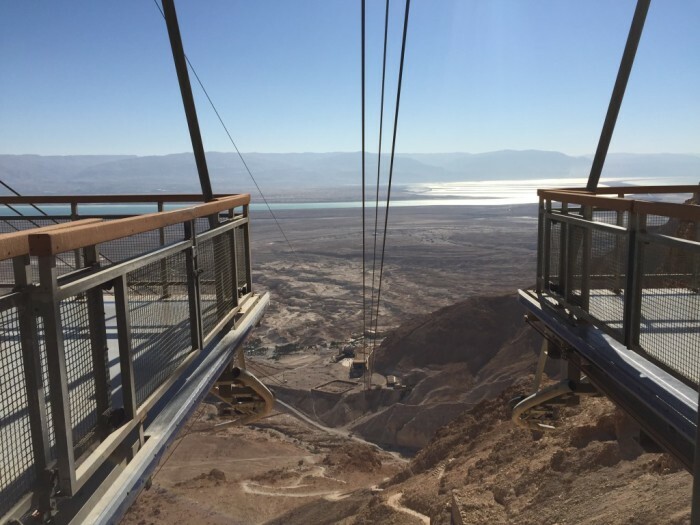 Visitors enter at the base and have the option to hike to the top on snake path (about an hour) or opt for the quicker, far easier route: the cable car. We were limited on time and some of our group members had mobility issues so we took the cable car up. 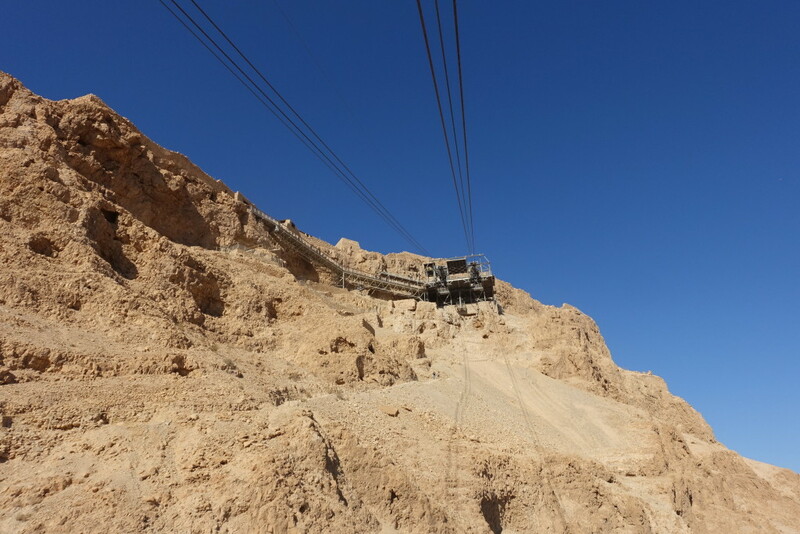 Going up on the cable car really made us realize how big the fortress really is. 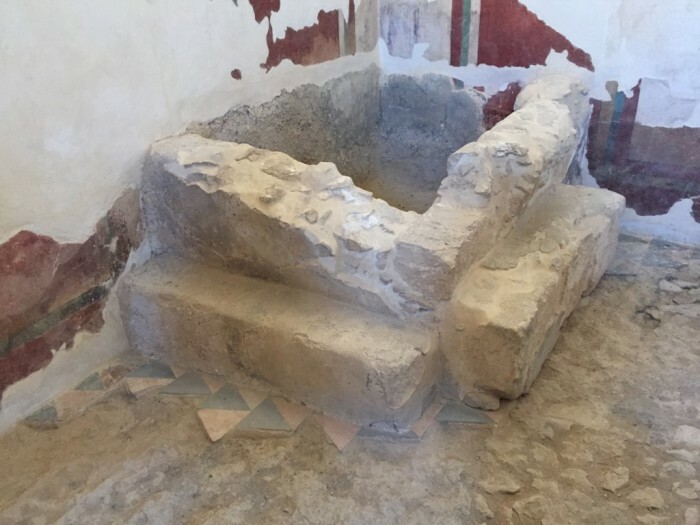 It made us wonder how material was carried up. 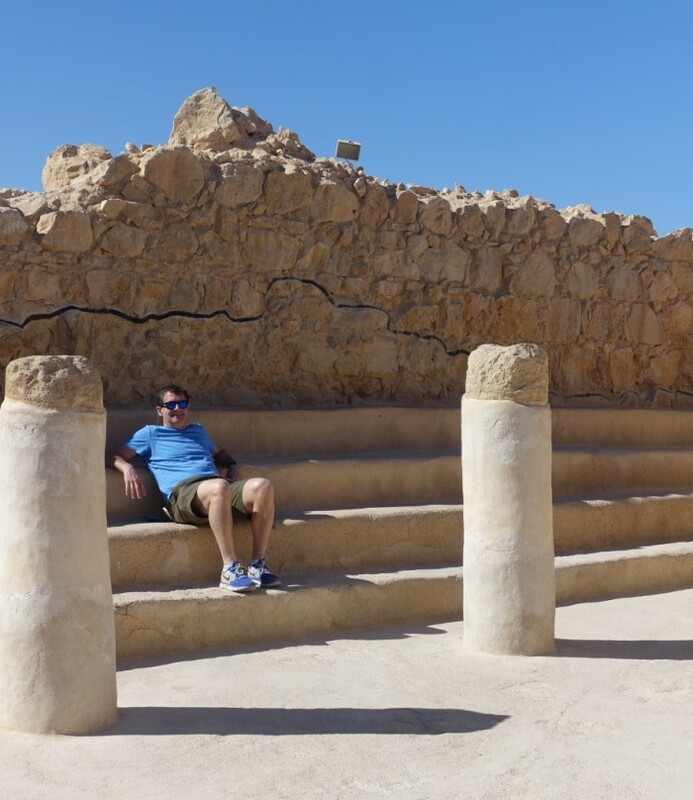 We went up with our guide from MEJDI Tours. You cannot get a guide at Masada, you have to arrange for one beforehand. 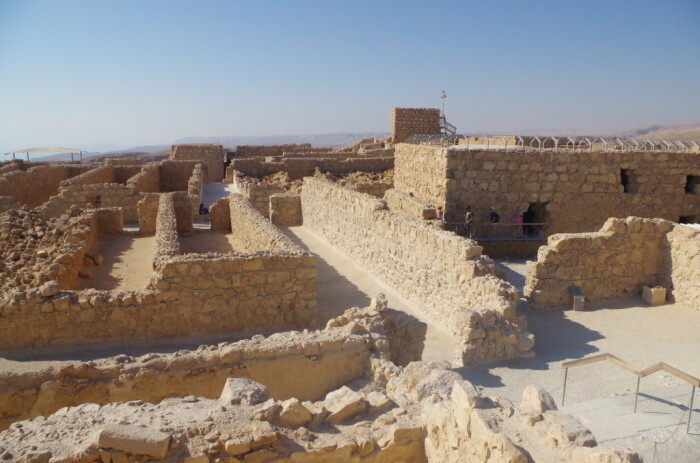 Some people like the ‘short tour’ which would include the Western Palace, synagogue, breach in the wall, the bath house, store houses and to overlook the Northern Palace. This would take about an hour to an hour and a half at least. 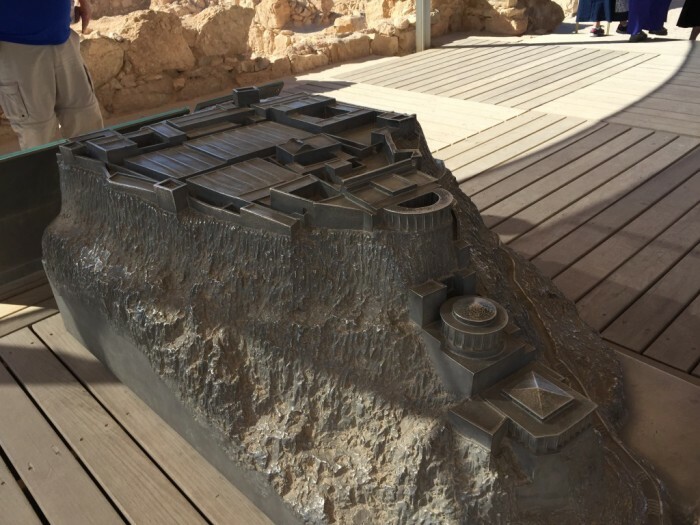 If you do your research before hand and are more adventurous, then you may also want to walk the whole way around the top, go down into the water cistern at the southern end, explore the ruins in the casement walls, and go down the two levels (if you don’t have vertigo) into the Northern Palace. The longer visit could take 2-3 hours if you want to see all the sites, photograph the desert which is spectacular, and not rush. Masada’s remote location and its national defenses were the advantages that transformed it into a fortress during the Second Temple period. 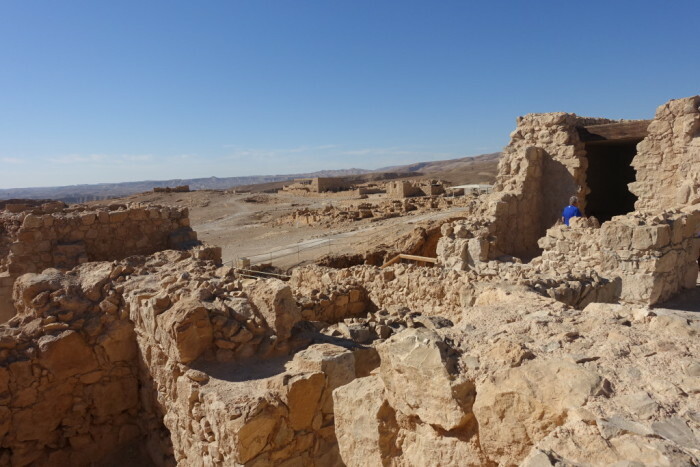 Herod, who ruled from 37 BCE to 4 BCE chose the site as a refuge against his enemies, and as a winter palace. During his reign, luxurious palaces were build here in addition to well-stocked storerooms, cisterns, and a casemate wall. After the death of Herod in 4 BCE and the annexation of Judea to the Roman Empire in 6 CE, the Romans stationed a garrison at Masada. 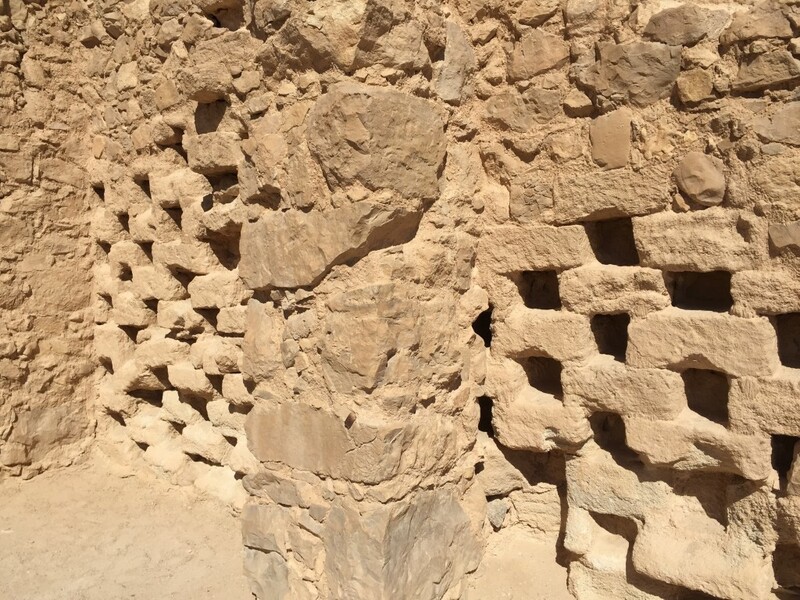 A Columbarium (housing structure for doves and pigeons) is seen on a tower on the west casemate wall. It was used for multiple purposes – as an observation tower, raising pigeons for their meat, and bird droppings which were used as a fertilizer for growing food. 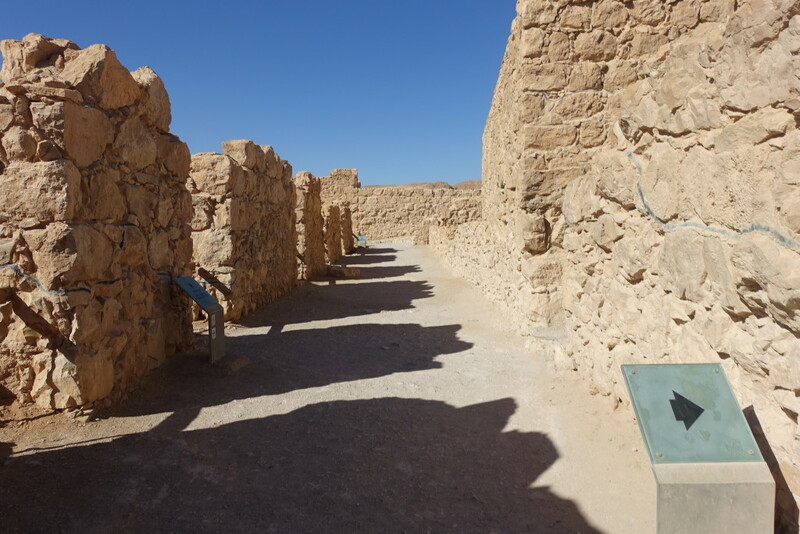 The Large Bathhouse served the guests and senior officials of Masada. 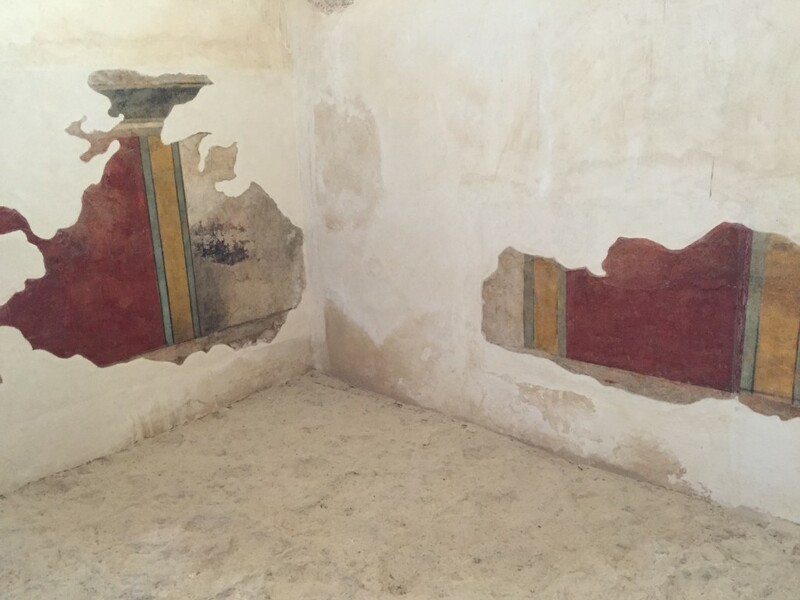 It consisted of a large courtyard surrounded by porticos and several rooms, all with mosaic or tiled floors and some with frescoed walls. 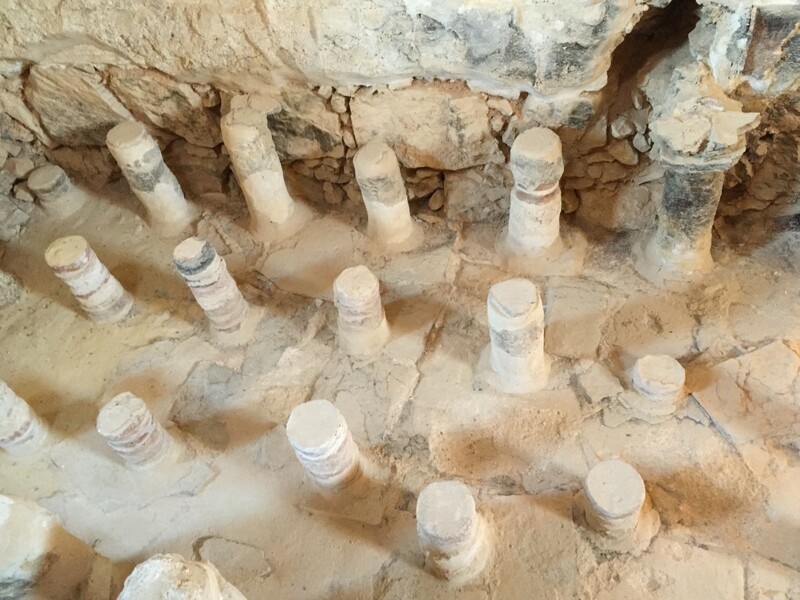 The largest of the rooms was the hot room (caldarium). 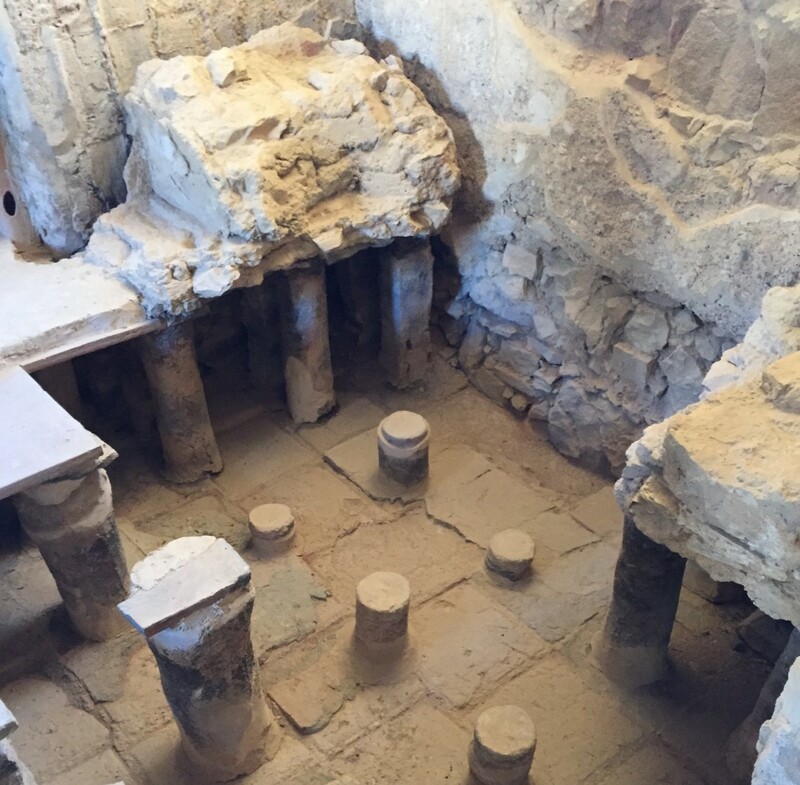 Its suspended floor was supported by rows of low pillars, making it possible to blow hot air from the furnace outside, under the floor and through clay pipes along the walls, to heat the room to the desired temperature. 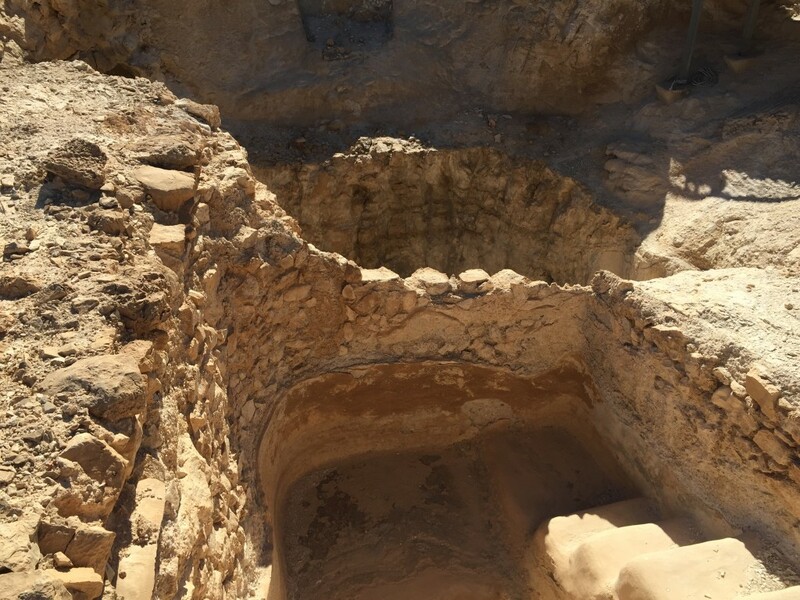 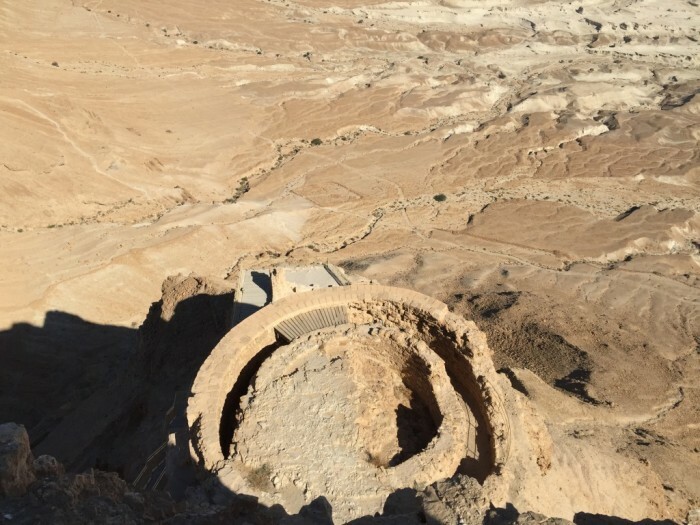 More than two thousand years have passed since the fall of the Masada fortress yet the dry climate and its remoteness have helped to preserve the remains of its extraordinary story. Declared a United Nations World Heritage Site in 2001, Masada National Park features a sand-colored Visitors’ Center which hugs the slopes, a fascinating, interactive museum, and a thrilling audio-visual production. 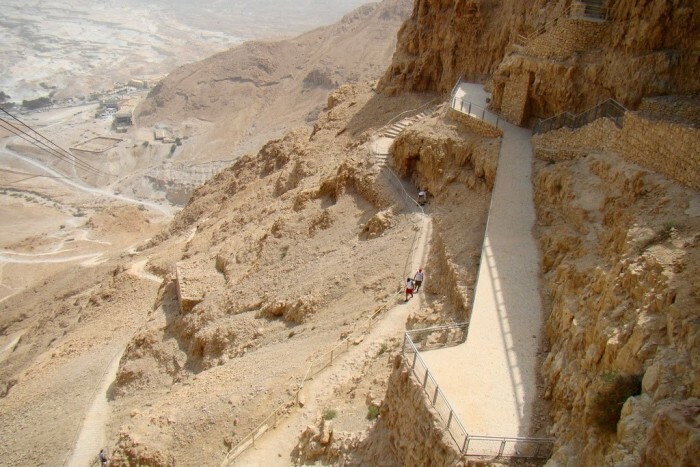 But the most exciting portion of a visit to Masada is a tour of the mountaintop — which is accessible by foot by the winding “snake path” or by a wheelchair-accessible cable car that runs from the tourist center at the feet of Masada to the top. 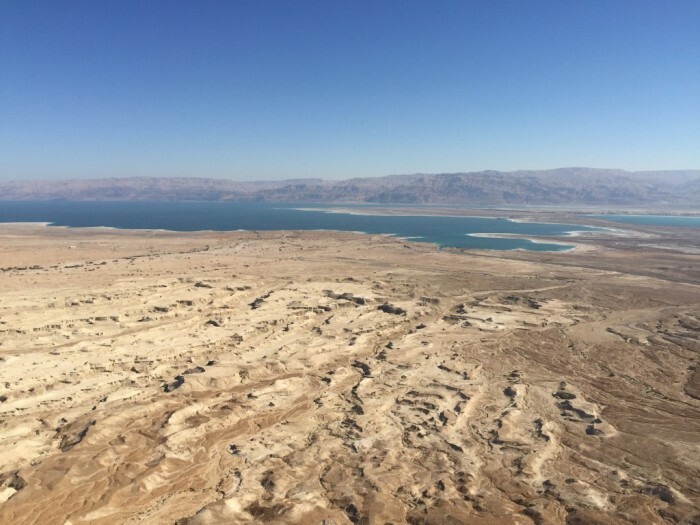 Make sure to bring water, a hat and good walking shoes.